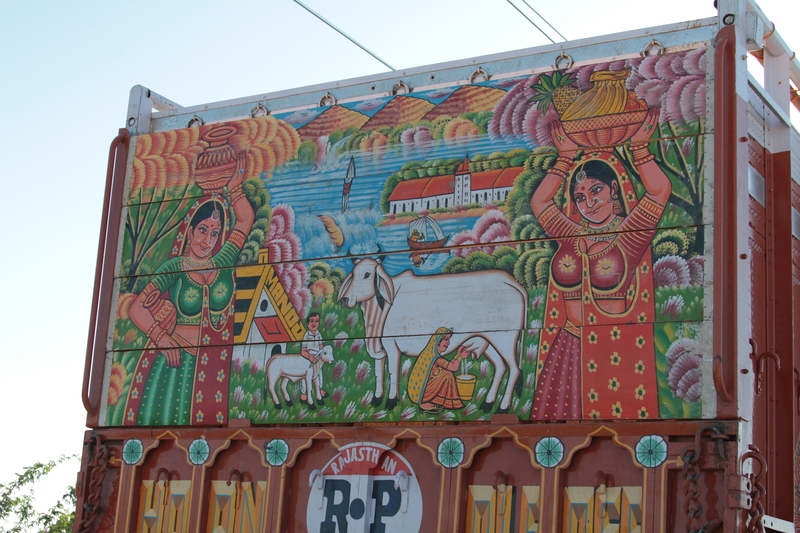 Traveling on an Indian highway was the closest thing to a carnival ride I ever experienced that was not in an amusement park. 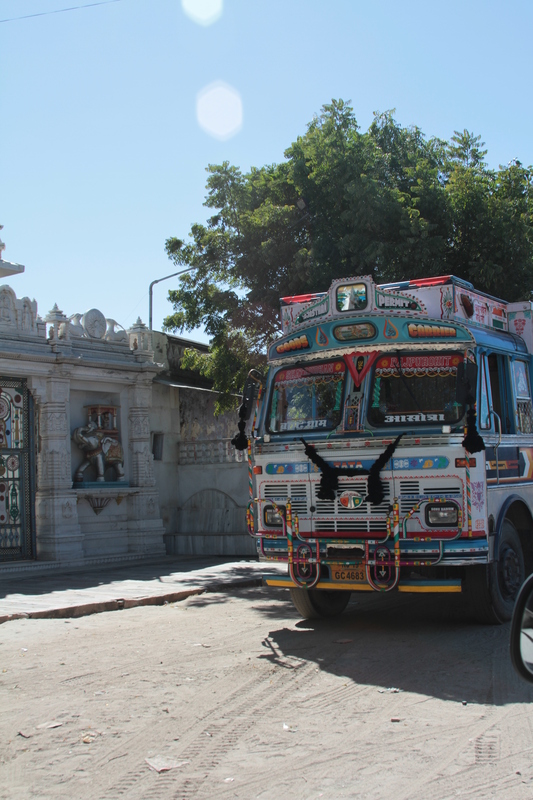 Our driver did not understand why we kept gasping when two trucks would be headed directly at us. He kept telling us not to worry. 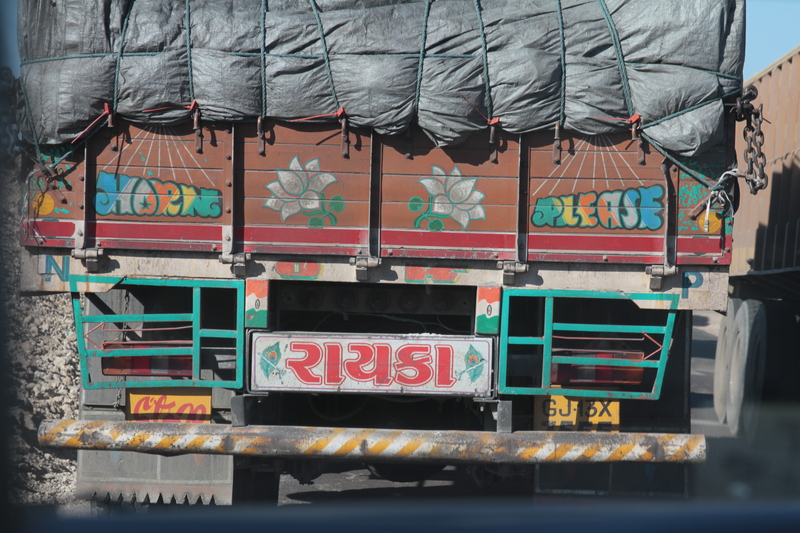 If there are rules for driving on roads in India, no one followed them, expect for the request to honk or blow your horn painted on the back end of every truck. All of these shots were taken from a moving vehicle. I don’t have access to most of my files or I would have included a video. 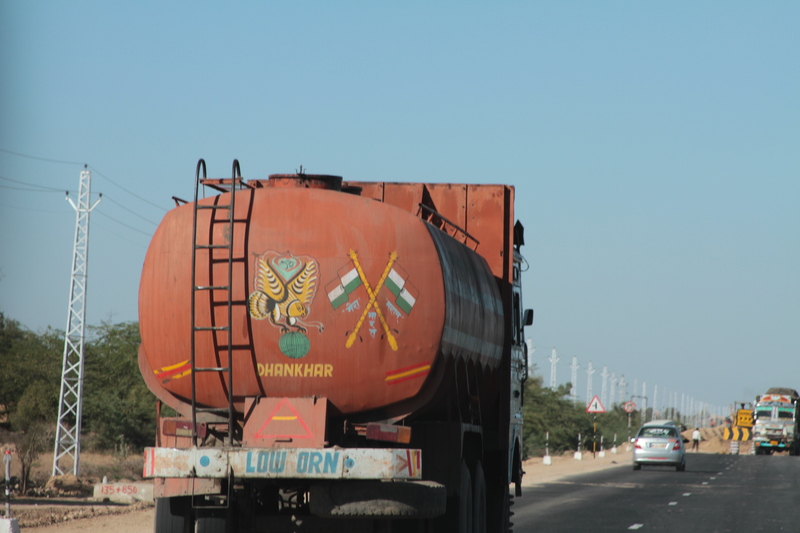 Indian trucks are lavishly painted. 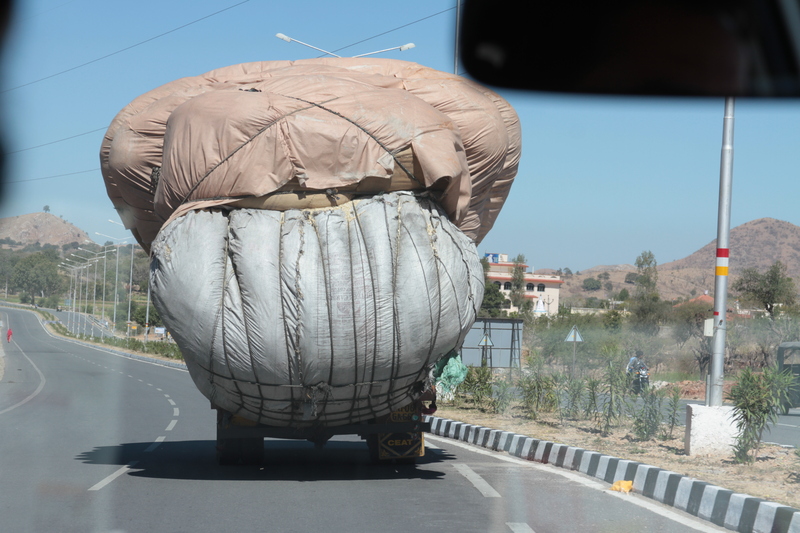 It was hard to imagine why these trucks didn’t tip over.